Is your business prepared for an emergency fuel situation? If you rely on a steady source of fuel to keep your business going, you need to have a plan for what to do if that fuel runs out in an emergency situation. A crisis can strike anywhere at any time, and the only way to know that you will have fuel in an emergency situation is if you have a guaranteed fuel contract. Foster Fuels’ Mission Critical Division is your trusted source for exactly this type of business emergency fuel contract. One of our most important services is offering businesses like yours a guaranteed corporate contract for emergency fuel. Once your contract with Foster Fuels Mission Critical is in place, you’ll have the peace of mind that comes with knowing you will never have to worry about a fuel emergency for your business again. At Foster Fuels, we understand that you will need an emergency fuel contract and plan that fits your business. We offer different levels of contracts that one of our knowledgeable team members will be able to walk you through to understand how each one can benefit your business in a different way. With disaster preparedness plans, proactive fuel pre-staging whenever possible, and guaranteed response agreements, we will work with you to ensure your business is protected. To begin the fuel contract process for your business, fill out our contact form or give us a call at 800-344-6457 to speak directly to a team member. Foster Fuels’ Mission Critical Division has a fueling partner in every one of the contiguous 48 states, so no matter where you are in the continental U.S., you’re not far from a Foster Fuels Mission Critical truck ready to bring your business the fuel you need. 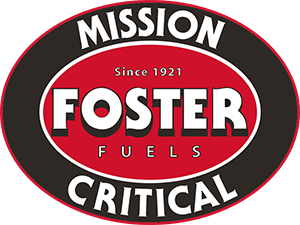 When you sign a contract with Foster Fuels Mission Critical, you’re getting a true partner for whom the continued success and prosperity of your business is a top priority. We consider every business we have a contract with to be part of our extended Foster Fuels family, and our service reflects that. With Foster Fuels Mission Critical, you’re also getting the benefit of a company that is experienced in every aspect of an emergency situation. We have been contracted by the government for emergency fuel assistance and have been in the thick of everything from a hurricane to earthquake disaster relief and more. If your insurance company or business protocol requires that you have a source for emergency fuel in place, a contract with Foster Fuels Mission Critical can check that box. Most insurance companies even include Foster Fuels Mission Critical as a pre-approved option. If downtime is disastrous to your business, as it is to so many, you’ll need an emergency fuel contract. We’ve been a trusted fuel supplier since 1912. Trusting your business with a leader in this industry will save you stress and pain of the potential damage that a power outage can cause. We will be by your side and on our way with guaranteed fuel so you’ll experience zero downtime when running on generator power. We pride ourselves on the partnerships we form with those that need our fueling services. To find out about how you can set up a guaranteed emergency fuel contract with Foster Fuels’ Mission Critical Division today, just call us at 800-344-6457 or fill out the form below.